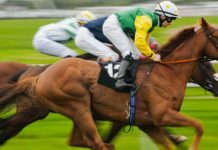 Launched in 2008, Theoddsbroker.com (TOB) is a Australian based business that gives punters the ability to compare odds and place bets across multiple odds providers all from the one account. Their brilliant betting concept has obvious appeal and with tote betting included they are especially attractive to big bettors. However, after recently striking a partnership with one of the worlds largest and most respected online sportsbooks, Pinnaclesports, TOB team has been flat-out developing their sister company Pinnaclebet. And at the time of this review they only provided odds from the three major totes and one corporate bookmaker (Topsport). Their providers cover only a few sports betting markets and their members do not always receive the best racing odds. I feel the betting concept isn’t reaching its full potential. But with the Pinnaclebet project almost complete, and up to five corporates and six on-course bookmakers looking to integrate their odds on to TOB website we can expect to see some positive changes in the coming months. You can already bet big with the totes, and when they introduce a wider range of odds providers TOB will have a very attractive product for all punters. Big Betting On The Totes ~ Although betting on the tote doesn’t guarantee the best price and large bets can affect odds in a negative way, there is no maximum bet limit and with the TOB you can balance your bets across three totes to maximise your return. Access To Ratings ~ TOB gives members access to expert ratings from a number of ratings agencies and your purchased ratings can be viewed alongside live market prices on the odds table. Excellent Betting Concept ~ TOBs’ current model is far from perfect but the concept they bring to the betting market has massive potential. 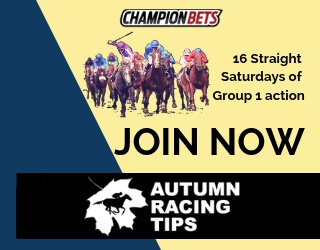 Being able to bet across a wide variety of totes and bookmakers all from the one account definitely has appeal to punters. And if they can further develop this concept and get it right, having a Odds Broker account will be very beneficial. Successful Punters Welcome ~ TOB do not restrict the betting of successful punters. Of course some providers may not accept all bets but you can always get on with the TAB. 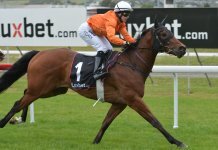 The Website ~ TOB website has very few options, you can only bet on today’s races with limited providers and it gives almost no insight into who you are betting with. I have also experienced periods where the site hasn’t been working properly and the .com.au version appears to have some security issues. Race Betting Odds ~ When it comes to race betting only tote prices and some fixed odds from Topsport are currently available. You can choose which tote to bet with but that doesn’t guarantee you the best odds. No Promotions ~ They do not offer a new customer bonus and despite having a promotions link on the website TOB hasn’t had any promotions since i joined. Limited Sport Markets ~ Only a few betting markets are available on sports. Even popular sports like AFL, NRL and Soccer have just 2-6 markets and sometimes not all of them are available to bet on. Account Conditions ~ They have a high minimum deposit of $50.00. A low deposit limit of $200-$1000 prior to your identification being verified. And all deposits must be turned over prior to withdrawing. TOB do not currently offer a new customer bonus. They do have a promotions link on the website (half a star) but at the moment it just takes you to a blank page and its been like that for a while. Betting Platform ~ TOB’s betting platform gives punters the ability to compare, and bet across multiple totes and bookmakers from one account. The platform certainly isn’t reaching its potential at the moment, but it is a brilliant concept and with up to 10 bookmakers looking to integrate their odds on to TOB website within the next few months it should be a great place to bet. 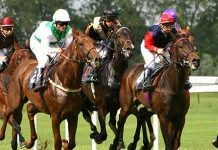 Expert Ratings ~ TOB is partnered with a number of ratings agencies which allows members to purchase expert racing and sport ratings directly from their website. Once purchased the ratings will appear alongside live prices on the odds table which can be an extremely useful tool for punters. 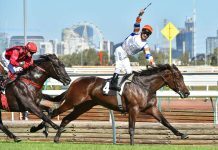 Tote Betting ~ TOB allows betting across the three major Australian totes STAB, UNITAB and NSWTAB. This enables members to choose which tote they bet with and there are no betting limits. Topsports Fixed Odds ~ Aussie bookmaker Topsport provides fixed odds on TOB website and when it comes to sport these odds are usually very competitive. Despite boasting a great betting concept TOB website remains fairly basic with very few features. 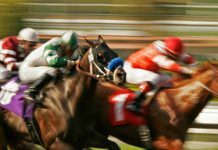 Both the racing and sport sections contain quick links to the next scheduled events and after selecting an event a corresponding odds table will be displayed with prices from various totes and bookmakers. With race betting you can only wager on today’s races at odds from the three major Australian totes and some fixed odds from Topsport. And with sports betting you are currently limited to wagering on Topsports fixed odds which are reasonably competitive but they only ever cover a couple of markets. The ratings section is a great initiative, enabling direct access to ratings agencies with purchased ratings appearing alongside the odds table. And there is a live chat facility available from 9am till the close of the days last race. 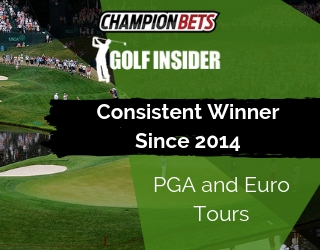 The site contains almost no detailed information about the company or their betting products which does make it difficult to know who your betting with. I have experienced periods where the site wasn’t working properly. And it appears TOB.com.au has some security issues so i recommend using the .com version until that problem gets sorted. Overall i thought the website needs be better, however, the TOB team are in the process of implementing a number of positive changes so i expect to see some major improvements in the near future. TOB do not have a mobile betting Application but there is currently one being developed. In the meantime you can still visit TOB on tablets and mobile devices and you will be directed to the main website. Betting Over The Phone ~ There is currently no phone betting available. Customer Support ~ 02 9387 850 (from 9am to close of the days last racing event). Live Chat ~ Yes, from 9am to the close of the days last race.